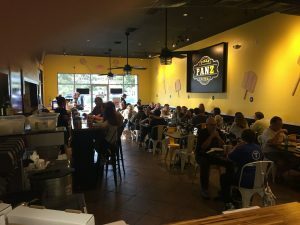 ***** Pizza Panz Pizza, 6250 Lantana Road, Lake Worth, Florida 33463, (561) 651-9397. 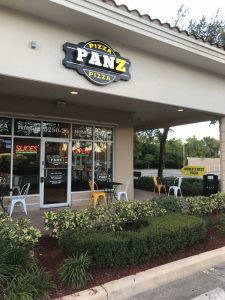 Got a real good pizza joint for you guys to checkout- Pizza Panz Pizza in Lake Worth. 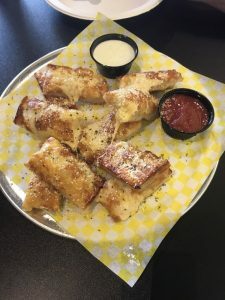 Real simple concept…inside counter & table seating/ handful of outside tables, plastic utensils/cups-plates, reasonably priced pizzas/ salads/ wings/ some other stuff, open Sunday-Thursday 11am-9pm/ Friday- Saturday 11am-10pm. Long story short, Jeff Eats and Mrs. Jeff Eats found the-joint a couple of days ago (or is a couple of nights ago?) 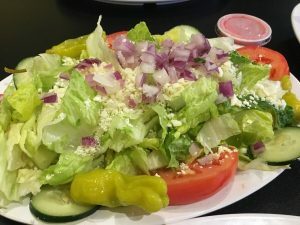 for dinner – and trust me, Pizza Panz Pizza’s food absolutely killed! 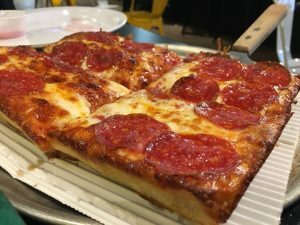 No bs here- four of the best Sicilian pepperoni slices we’ve had in a-long time. 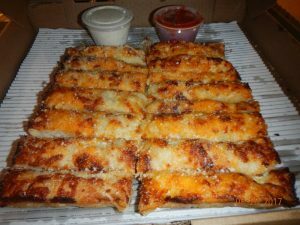 By the way, the joint’s garden salad/ deep dish breadsticks/ glazed breadsticks were like the pizza, right on the money. The next time we eat there- Jeff Eats and Mrs. Jeff Eats got plans to checkout the joint’s wings! 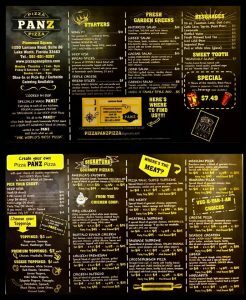 Like I said 3-seconds ago, Pizza Panz Pizza is open Sunday-Thursday 11am-9pm, Friday-Saturday 11am-10pm.